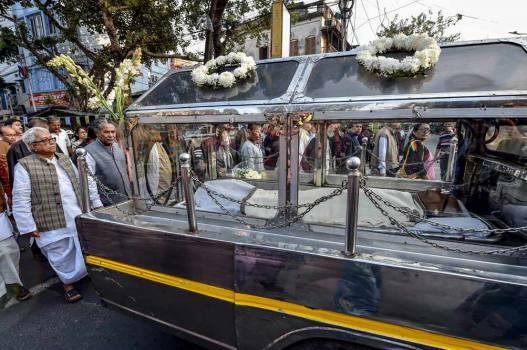 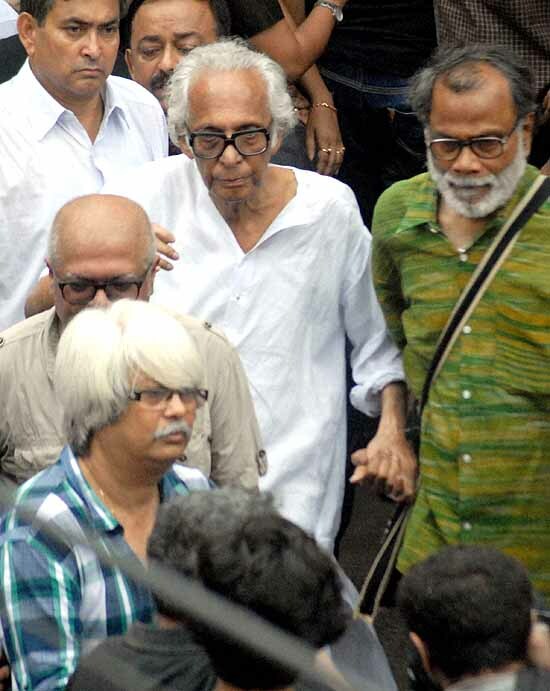 Left Front Chairman Biman Bose attends the funeral procession of eminent film director Mrinal Sen as his body is taken to Keoratala ghat for cremation in Kolkata. 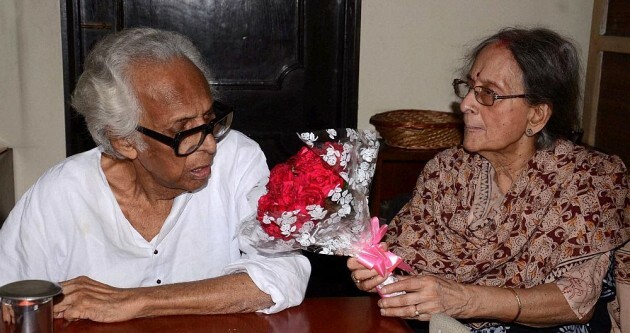 Film Director Mrinal Sen celebrates his 92nd birthday with his wife Gita Sen at his residence in Kolkata. 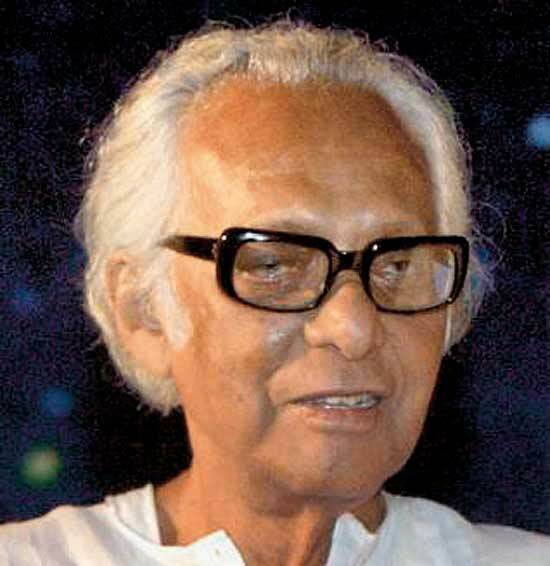 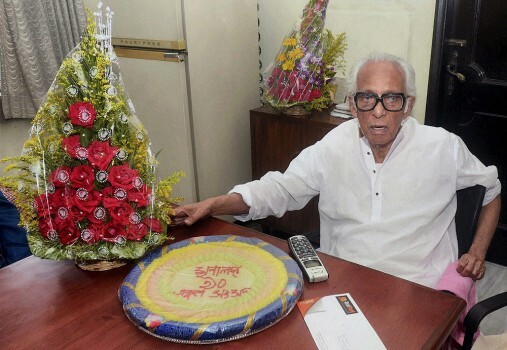 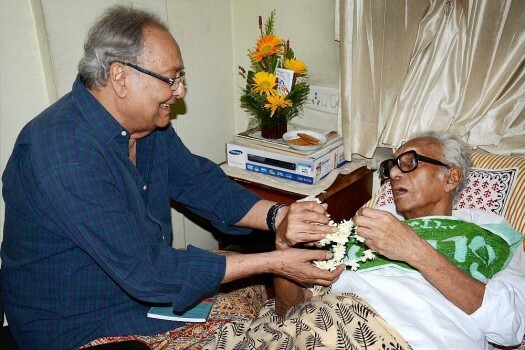 Film-maker Mrinal Sen celebrates his 90th birthday at his residence in Kolkata.